Using a gene editing technique known as CRISPR/Cas9, scientists have shown that inactivating the gene FREP1 reduces mosquitos' susceptibility to infection with Plasmodium, a genus of parasites that causes malaria in humans. George Dimopoulos's group at Johns Hopkins University, present these findings in PLOS Pathogens. Inside an Anopheles gambiae mosquito, Plasmodium undergoes a series of infection steps before reaching the mosquito's salivary gland, from which it spreads to bitten humans. This infection cycle relies on the activity of several mosquito proteins. Recently developed CRISPR/Cas9 tools offer new opportunities to study these proteins and determine whether they can be targeted to block malaria transmission. Dimopoulos group had previously identified and examined several mosquito proteins involved in Plasmodium infection, including fibrinogen-related protein 1 (FREP1). A vaccine candidate based on targeting FREP1 was recently developed, but Dimopoulos' group took a different approach. They used a CRISPR/Cas9 technique to inactivate the FREP1 gene in A. gambiae mosquitos and explore the effects on malaria parasite infection. The team found that FREP1 inactivation via CRISPR/Cas9 significantly suppressed infection of the mosquitos with both human and rodent Plasmodium parasites. This supports a potential for CRISPR/Cas9 technology in altering the genomes of wild mosquito populations to prevent the spread of malaria, which kills nearly 500,000 people worldwide every year. However, the permanent inactivation of FREP1 in all mosquito stages and tissues also resulted in fitness costs for the mosquitos, including reduced blood-feeding ability, lower fertility, a lower egg hatching rate, slowed development, and reduced longevity after feeding on blood. This raises concerns that mosquitos with permanently inactivated FREP1 would not be able to compete with non-mutant mosquitos in the wild effectively enough to block malaria transmission. 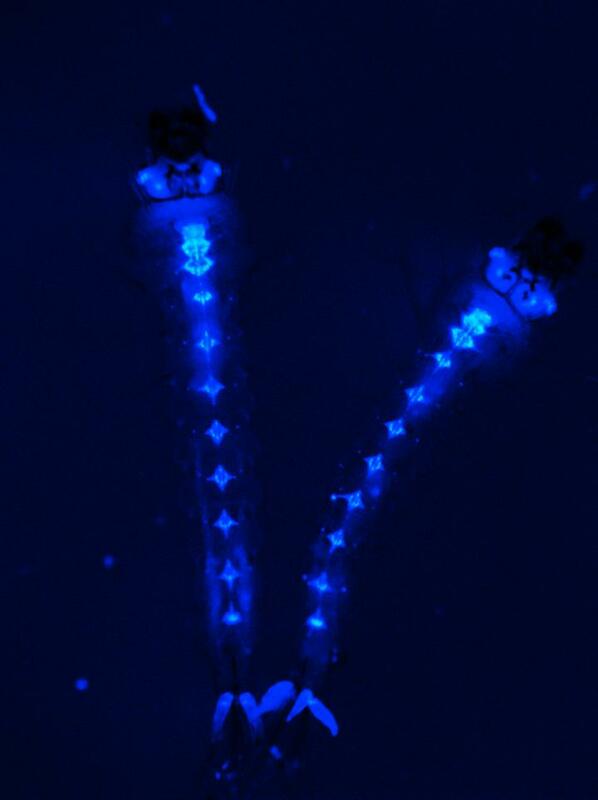 The investigators are now exploring ways to inactivate FREP1 in the gut of adult female mosquitoes only, with the hope to reduce the fitness cost while retaining resistance to the malaria parasite. Nonetheless, the findings highlight the potential for CRISPR/Cas9 gene editing techniques to inactivate parasite host factors and improve understanding of malaria. Further research could also explore strategies to enable mosquitos with inactivated FREP1 to successfully compete with non-mutants. Funding: This work was supported by the National Institutes of Health / National Institute of Allergy and Infectious Disease grants R21AI131574 (to GD) and RO1AI122743 (to GD), and a Johns Hopkins Malaria Research Institute Postdoctoral Fellowship (to MLS), the Bloomberg Philanthropies (to GD). CNRS, Inserm, the University of Strasbourg and Agence Nationale de la Recherche (grants JCJC "GEMM" and #ANR-11-EQPX-0022) to EM. The funders had no role in study design, data collection and analysis, decision to publish, or preparation of the manuscript.